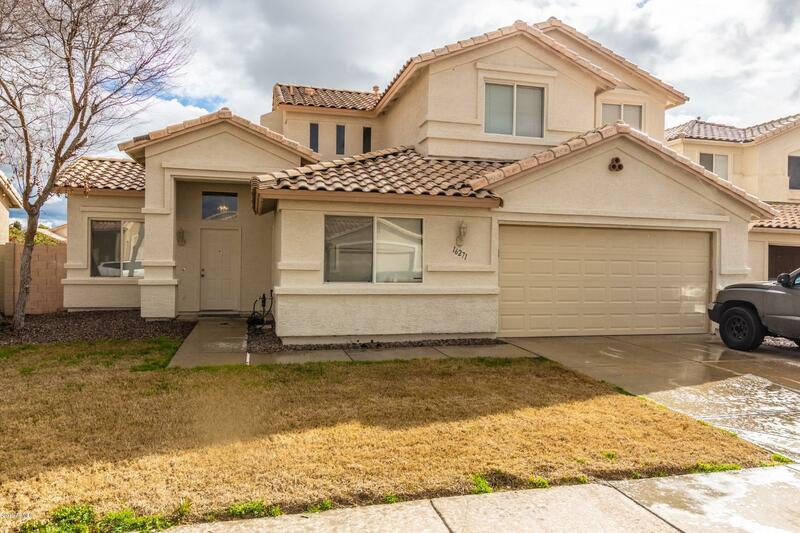 All WILDFLOWER RANCH UNIT 2 homes currently listed for sale in Goodyear as of 04/26/2019 are shown below. You can change the search criteria at any time by pressing the 'Change Search' button below. "Carve out an incredible life in this 2 story stunning home that is nestled in the city of Goodyear! Upon entering this home, you are greeted with soft paint palettes, gorgeous tile flooring and soaring vaulted ceilings! The island kitchen features soothing laminate countertops, plant shelving, light wood cabinetry, dual sinks and tons of counter space! The spacious bedrooms boast plenty of room for sleep, study and storage! The master bathroom has dual sinks, walkin closet, garden style bathtub "